A Reflection on Call of the Conjurer. Call of the Conjurer was released nearly two years ago and went through a number of iterations to get it just right. I realise how much more fluid I have become as a writer; ,y later books have required less editing. I have received plenty of feedback since then; I know my problems and plus points; what people liked with Call of the Conjurer and what they disagreed with. Overall, hearing opinions about your own work is amazing. Today, I decided to put my thoughts down on how and why the book was written in the first place. As I’ve said at the start of this blog, Bloodfest originated in the late 90’s as an amateur animated film about a bunch of soldiers fighting the Grim Reaper and his army of zombies for some reason. Back then it was just a bunch of eleven year olds spouting off funny lines (or what we thought were funny) and pushing a Lego coach into a crowd of plasticine zombies. The film couldn’t even be animated with a standard home camcorder. God knows I tried but recording 1/24 frames a second with only a pause button was impossible. I might look back with disdain, but it was fun. I can still recall the smell of modelling clay and red acrylic paint. The Bloodfest series stuck with me over the years as a collection of sequels, drawings and models, all improving over time. I had made (most of) an RPG based on the film and kept my mind afloat by coming up with short side stories. It might sound weird, but I wanted to hold on to this made-up world. Sometimes the real world doesn’t compare to the ones we imagine. You know what I mean? About 2010, after one joyful day playing through the entirety of the Metal Slug series at a friend’s house, I wondered how Bloodfest would fare as an old school arcade shoot-em up game. Something really Contra-like; pixelated violence where every-goddamned-thing explodes. It would have totally worked, and as I considered a plot I began to think about the origins of the characters from Bloodfest, which I had never really considered before. What was the first mission for the veteran, magically enhanced soldiers Ace Mcdagger and Shimon Arkasone, with their respective shotgun and sword prowess? What did they do long before the rest of the Bloodfest team came along, long before they faced the Grim Reaper and his zombies? For a game, Ace and Shimon would be players one and two, of course. And this origin story would have been how they met Tiffany Milich too. I needed a fourth character, and immediately pictured Captain Mason. The superior officer, someone who Ace would look up to. Mason was armed with a shotgun, to indicate the inevitable passing of the torch to ‘Shotgun’ Ace Mcdagger. Maybe Mason would have to be an unlockable, secret character. He would be too powerful, perhaps. Characters in mind, I envisioned a straight forward plot to keep things simple: there are monsters, shoot them all. In my mind the enemies would have to be straight forward and instantly recognisable. They would be humanoid monsters; medieval ghouls, perhaps. Occasionally a skeletal ghost or an orge shows up. I pictured the game clearly, and what would essentially become the second half of Call of the Conjurer. Video games in the 90’s usually started Level One with a hilly, grassy stage. Level Two is in the woods, or a misty mountain, or a factory for some reason. Level Three is the Water Stage and Level Four is the Volcano, obviously. For my Level One I imagined a cave; and I instantly remembered visiting the Valkenburg Municipal Caves a school trip in 1998. A warm, inviting cavern of carvings and Christmas lights. In my head I filled that location with ghouls and stuck a giant, tree ghost as the end of stage boss. The Waldgeist; a step up from the regular foes but nothing too daunting. The end of the story (which in my non-existent arcade shooter is Level Six) takes place in a haunted castle. Everything is chaotic; a red storm scrolls past the windows, the enemies are leaping from the ceiling and floors. There’s a boss rush, right before the final encounter with the most evil of all; a person. An unexpected instigator – a young woman, a teenage girl, perhaps, going full blown sorcerer and about to end the world. That was about all I had for the game for now. My brain shifted to focus on the actual story – because the first mission couldn’t be the start of things. 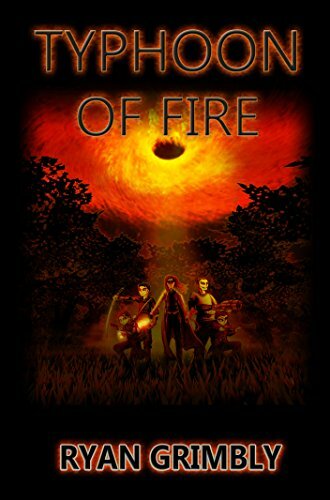 Ace, Shimon and Tiffany needed training, and that was where Call of the Conjurer truly began. I was out of work at the time, only ever taking up short Animation jobs or contracted labour roles. 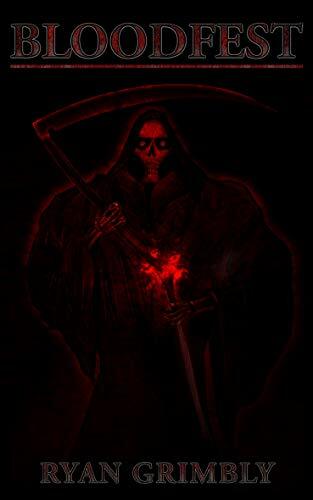 I knew I wanted to do something more, and my confidence had reached a stage where I decided to write a Bloodfest novel. Instead of re-writing the old films, I thought it best to introduce Bloodfest to the world by starting right at the beginning, and set about writing “Bloodfest 0”, also code named “Training Days”. Old character sketches from around 2010. Right from the beginning I wanted to invoke that feeling we get when we start in a new place. The first day of school, college, work; being in a room surrounded by unfamiliar faces. It’s a moment of potential. You look around and wonder who all these people are, who you’re going to get to know; maybe some of them will become your best friends, maybe you’ll meet a lifelong partner, or an enemy. Maybe you’ll get to know some people quickly, drift apart, and get to know the others even more. Maybe you’ll stay distant and none of them will know you well, but it’s impossible not to learn a little bit about somebody new in a day, even in an hour. I felt this was a good starting point for the characters. The audience knows nothing about who these people are except for what is given to them, and more details filter in over time. It was a perfect way to introduce the world of Bloodfest – the set up or magic soldiers, working for a secret organisation who rule the world. We had always set the first Bloodfest film in the year 2012. Back when we made the home movie in 1996, that date seemed like a long way off – a time when futuristic technology might be readily available; when laser rifles and robots might be common place, but not so far into the future that everything is laser rifles and robots. I worked out that Call of the Conjurer would have taken place in 2003. That was a lot to look back on. The world was different 13 years ago, although it doesn’t feel that way. Back then, tablet computers and iPhones were less prevalent. People still used CD players… at least I did. I wanted the characters in the story to be using ordinary, time relevant equipment. Although it is suggested that the Hidden Government possess advanced technology, I didn’t think that recruits would have access to the best stuff right away, and the training facility seemed more homely and familiar with ordinary, every day items. I didn’t want the place to be flashy and alien, so it was all conceived to be rustic and plain, like an average office or public school. I did, at the same time, want to take the main two British characters away from home. I established the training base in America, because it seemed like the right place for it to exist. I also wanted to set it in a warm, welcoming location, somewhere that might feel like a holiday; a step up from the normal world, somewhere quite vibrant and well off. The east coast came to mind amd I eventually decided upon Myrtle Beach in South Carolina. I kept the cast to a minimal. There were a few who I knew had to exist; such as Lieutenant Baker to act as Captain Mason’s counterpoint, and Gretel Salneth to help Ace show his humanity. My preference of character creation is to envision them and go with that initial concept – it goes back to my ‘first day of work’ ideology; the people you met are already there. I don’t want to build a world where it seems like everybody has been placed purposely (unless the story calls for a situation like that). I would rather populate my stories with natural people, maybe even ugly and broken ones, than a selection of checkboxes. 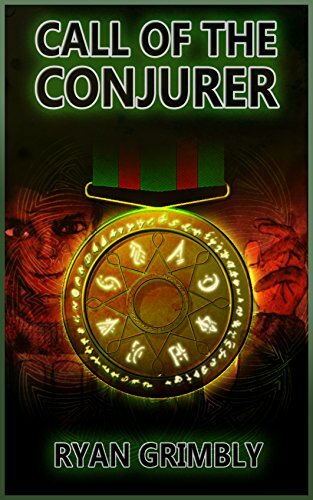 I actually feel that with Call of the Conjurer you could remove or replace a lot of the characters and the ending would always be the same – it had to be, it was written as a prequel, after all – but that would only serve to reduce the overall story. It could have worked with just Ace, Shimon, Tiffany as the recruits and Mason showing them what to do, but it would have been a very short book. I wanted to involve more characters. It is always fun to drop a bunch of people into a small room and see what happens. I think that even the most minimal, one line characters need a bit of back story or a vivid description. The other recruits, soldiers and civilian characters all developed organically. Again, I just went with initial ideas and eventually everybody settled into place. I quite like how the character Cheng takes a long time to open up, and you only really get to know him right before the end. Various concepts for cover art. Call of the Conjurer for me is a collection of ideas. It is potential; it is the first day at work where the job is selling the Bloodfest series to the general public. I hope it holds up to that, even if the going has been very slow. Writing the book was a great learning experience, and now it exists.